Come find spiritual peace and physical healing by destressing from modern life's tensions and the resultant accumulation of toxins. 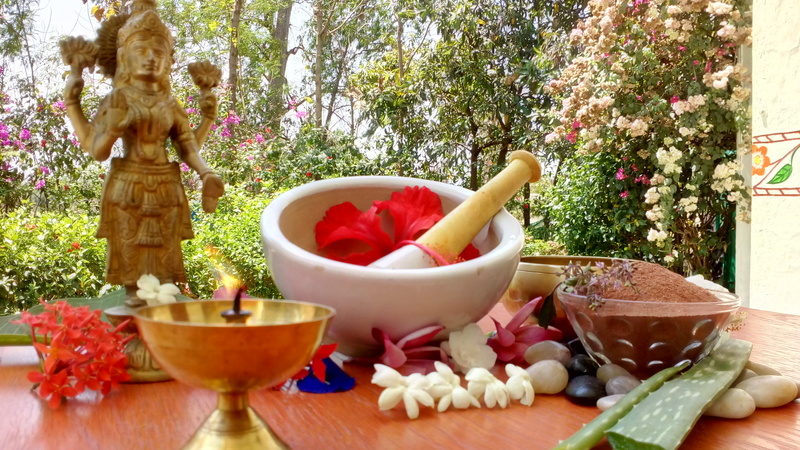 Includes room (double occupancy), three meals a day and entire Ayurveda program (5 treatments a day). *Please inquire if you are interested in other dates. We are happy to design a personal retreat just for you! 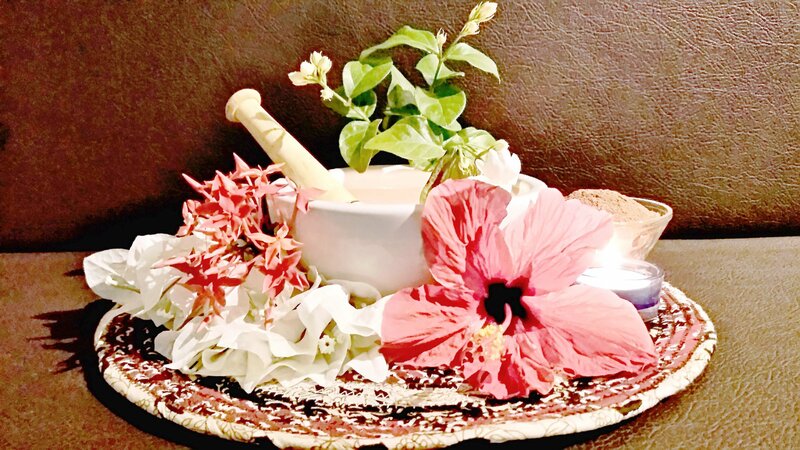 BASHPA SWEDHA-Medicated steam is applied to the body for certain periods of time to create perspiration. It removes stiffness, heaviness and coldness from the body. FOOT MASSAGE-Improves blood circulation: Due to a sedentary lifestyle, many people don't use their feet muscles properly, thus impeding good blood flow. 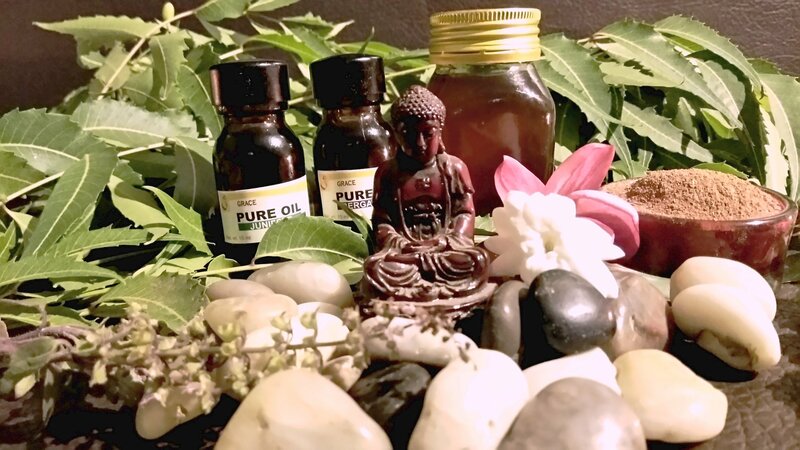 According to Ayurveda, good health depends upon our capability to fully metabolize all aspects of life, assimilating that which nourishes and eliminating the rest. When we can't completely digest our food, experiences, and emotions, toxins accumulate in our bodily tissues, creating imbalance and -ultimately- disease. In addition, modern society has become a toxic assault on the human body, from pesticides, herbicides, household cleaners, building materials to air pollution, noise pollution and water pollution. 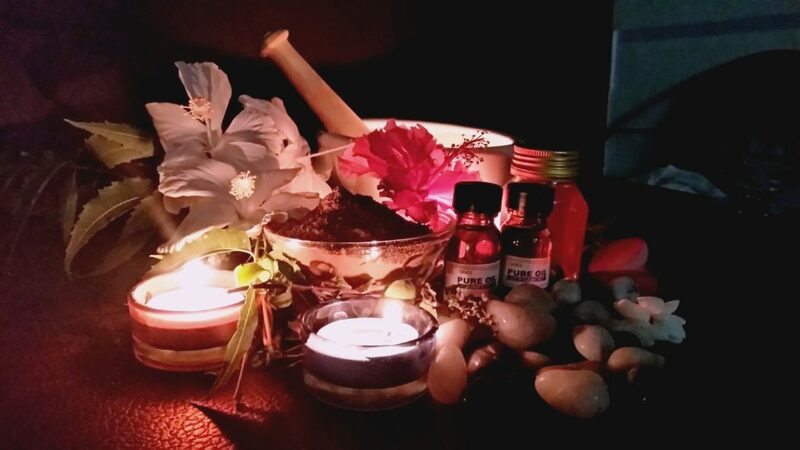 Panchakarma is an elegant cleansing process that releases stored pollutants and restores the body's innate healing ability. Specially trained therapists administer these treatments in a delightful and comfortable environment.